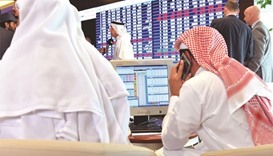 Robust buying interests of foreign institutions on Thursday helped the Qatar Stock Exchange gain a huge 116 points to inch near 10,400 levels. 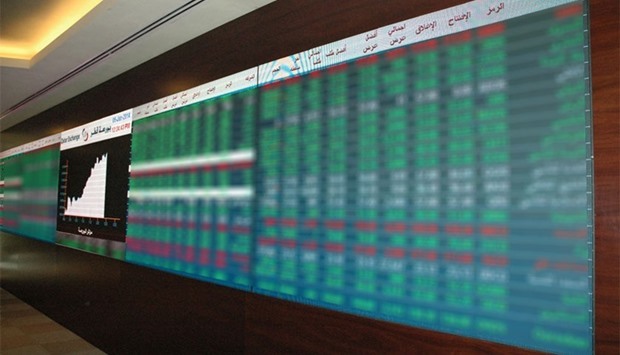 An across-the-board buying — particularly in consumer goods, banking and realty — led the 20-stock Qatar Index rose 1.13% to 10,368.17points, which is up 21.64% year-to-date. 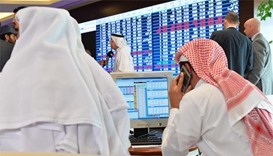 Market capitalisation expanded about QR9bn or 1.48% to QR581.46bn, mainly on account of large and midcap equities. 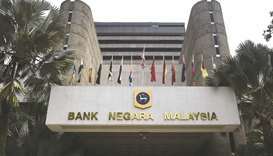 However, there was increased selling pressure from local retail investors and domestic funds on the market, where Islamic stocks were seen gaining slower than the other indices. 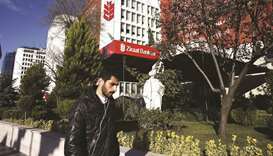 Trade turnover and volumes were on the increase on the bourse, where banking and real estate sectors together accounted for more than 57% of the total volume. 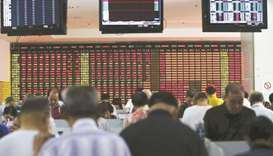 The Total Return Index gained 1.17% to 18,267.56 points, All Share Index by 1.39% to 3,059.87 points and Al Rayan Islamic Index (Price) by 0.74% to 2,421.71 points. 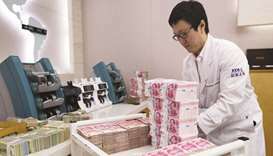 The consumer goods index soared 2.75%, banks and financial services (2%), realty (1.77%), insurance (0.51%), telecom (0.33%), transport (0.18%) and industrials (0.12%). 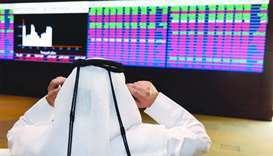 More than 59% of the traded stocks extended gains with major movers being QNB, Qatar Islamic Bank, Masraf Al Rayan, al khaliji, Dlala, Woqod, Mesaieed Petrochemical Holding, Doha Insurance and Ezdan; even as Doha Bank, Qatari German Company for Medical Devices, Al Khaleej Takaful and Gulf Warehousing were among the losers. Non-Qatari funds’ net buying increased significantly to QR118.99mn compared to QR34.59mn on November 7. 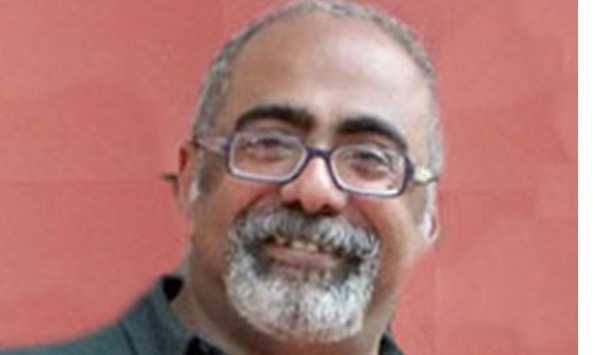 The Gulf individuals turned net buyers to the tune of QR0.39mn against net sellers of QR0.54mn on Wednesday. 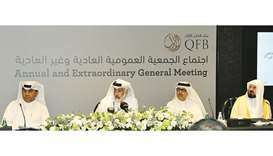 However, local individuals’ net profit booking grew considerably to QR81.87mn compared to QR29.36mn the previous day. Domestic institutions’ net selling strengthened influentially to QR18.99mn against QR4.37mn on November 7. Non-Qatari individuals were net sellers to the extent of QR13.47mn compared with buyers of QR2.91mn on Wednesday. 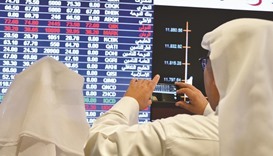 The Gulf institutions’ net profit booking shot up perceptibly to QR5mn against QR3.22mn the previous day. 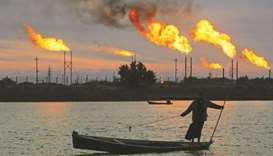 Total trade volume rose 19% to 5.9mn shares, value by 50% to QR259.01mn and transactions by 21% to 4,499. 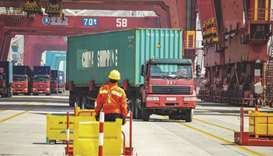 The transport sector’s trade volume almost tripled to 0.82mn equities and value also almost tripled to QR16.45mn on 87% jump in deals to 460. The consumer goods sector’s trade volume soared 43% to 0.2mn stocks to more than triple value to QR32.85mn on more than doubled transactions to 668. There was 27% surge in the real estate sector’s trade volume to 1.61mn shares and 10% in value to QR32.18mn but on 16% decline in deals to 718. The industrials sector’s trade volume gained 9% to 0.75mn equities, while value fell 11% to QR33.32mn despite 9% higher transactions at 679. The telecom sector reported 7% growth in trade volume to 0.58mn stocks, 35% in value to QR16.26mn and 38% in deals to 480. 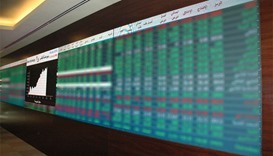 The insurance sector’s trade volume was up 6% to 0.18mn shares, value by 6% to QR5.26mn and transactions by 3% 125. 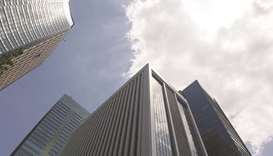 However, the banks and financial services sector saw 5% shrinkage in trade volume to 1.77mn equities but on 64% expansion in value to QR122.72mn and 13% in deals to 1,369.